Don't hesitate to contact us by email or call us on +33 (0) 3 85 40 55 50 right now to book your next river cruise in Spain. Spain is not the only area available with alpha-croisiere.com. Discover all the other destinations of river cruise that we can rent you. 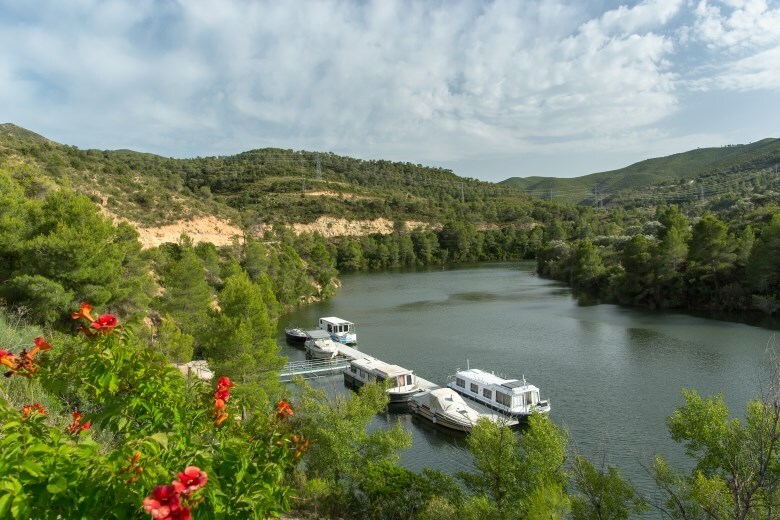 The Riba Roja d'Ebre lake offers 42km of lock-free navigable waterways and is a great place to hire a boat, particularly if you plan on doing some fishing. Riba Roja d'Ebre can be reached by air via Barcelona, some 190km away, by rail (there is a station in Riba Roja d'Ebre) or of course by car. There aren't very many berths at this unusual stop, but that doesn't deter fishing enthusiasts; on the contrary, in fact, as you can indulge in your favourite sport here by dropping anchor wherever you see fit. 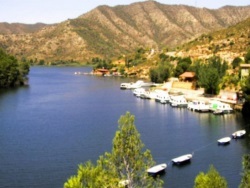 Riba Roja lake is a 2,152-hectare fishing reserve located in an entirely natural environment, its rich and plentiful fish stocks making it particularly popular among fishermen. Indeed, the lake is populated with carp weighing an average 10-15kg and silurus exceeding the 100kg-mark. 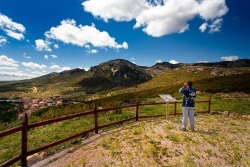 The lake and its surroundings are sure to appeal to nature-lovers, too. All of the equipment you will need to fish is available to hire onsite, along with very reasonably priced licenses, and you might even like to hire the services of a professional guide. Tarragona may not be located on the Ebre itself, but it is certainly worth a stop on the outbound or return leg of your journey to spend the day at its Port Aventura theme park. An extra day's visit to Barcelona, a world city and major cultural centre, is another must along the way. Visit the famous La Rambla with its living statues, grab some lunch at the Boqueria market, admire the Sagrada Familia and take the cable car up to Castel de Montjuïc, where you can enjoy panoramic views across this universal city and its international port.